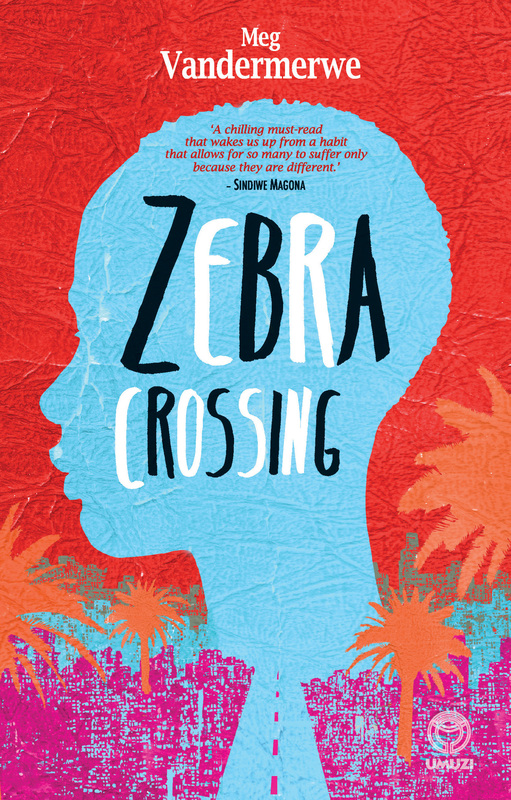 Zebra Crossing tells the story of its protagonist and narrator, Chipo, an illegal immigrant in her late teens, and her older brother George. Both have fled poverty and political and private turmoil in their native Zimbabwe for a better life in Cape Town. Set during the 2010 World Cup, it explores myth and malice in the Mother City. As excitement about the World Cup grows, so do xenophobic tensions. Consequently, George and fellow Zimbabweans Peter and David attempt to exploit Chipo’s albinism and local superstitions about the condition to make their fortunes amongst the illegal soccer betting rings that have sprung up along the city’s infamous Long Street. Their plan is to get rich quick and leave, before the violent rumours that all foreign Africans remaining in the country after the final soccer match will be attacked, come to fruition. However, their scheme has disastrous consequences. Meg Vandermerwe was born in South Africa in 1978 and raised and educated in Switzerland and the United Kingdom. She holds degrees from the universities of Oxford, Sussex, and East Anglia. Zebra Crossing was written as a part of her PhD at the University of Lancaster. After twenty-two years of living abroad, she returned to Cape Town in 2008. She lectures Creative Writing and English Literature at the University of the Western Cape, where her responsibilities include UWC Creates, the first multilingual Creative Writing programme in South African higher education. A collection of her short stories, This Place I Call Home, was published in 2010.